Whether you’re a new parent or parent pro, you know how exhausting, difficult, and stressful everyday life can be. Not only do you have to ensure your little beans are taken care of at all hours of the day (and no diapers have been flung across the room… again), but you also have to balance a life outside of your family that is based around work, friends, and relationships. Believe me when I say that having a household with a toddler, a newborn, and of course, the (needy) husband, is exhausting! Don’t get me wrong, I absolutely love being a mom. But I know I’m not alone when I say sometimes I need a little break so I can be the best wife and mom that I can be for my family. Because of this, I’ve started diving into research for ‘parenting hacks’ that will help busy parents with young kids and a full-time working schedule get all tasks accomplished in a timely matter, while still making plenty of time to spend with family. Basically, I’m cracking the ‘mama code’! I’m always looking for ways to make my life easier and once I stumbled upon this really cool mom blog by Erin at Mom Gets It Done, she does exactly that – gets things done in a really easy (well it seems), practical and clever manner in whatever her pursuit may be. Her blog post, about cleaning products you can’t live without, is an example of some staple products you need for a quick and easy cleaning routine. And any hack in the cleaning or tidying arena is always something that all of us parents need assistance with. So, set that extra (or 8th) cup of coffee down, sit back, and get ready to learn these life-changing momma hacks that will rock your whole parenting world! I’ve talked about this trick in one of my previous blog posts, and it is amazing how well this works for a baby that doesn’t want to stay asleep. And trust me, they never do! All you do is throw a towel in the dryer 15 minutes before bed, or place a warm bottle under the blanket to warm up your little ones sleeping area. The warmth of the heat added to your child’s crib or bed will help them fall into a quick, comfortable, and restful sleep. Which means you sleep too, without needing 4 extra cups of coffee the next day! For more ways I how I get more sleep as a parent, check my blog post here. This has been my absolute favorite parenting hack that I have used on all my babies from their newborn days and even through their toddler years, and it continues to work magic still everyday! This parenting hack is so smart and saves so much time, I truly don’t know how I lived without it for so long!! So what is it that I wished I knew earlier? This parenting hack is that you don’t need to buy 500 fancy baby socks when you can just buy a bulk pack of the same colored socks!! The reasoning behind this is so that you don’t spend have to experience a toddler tantrum everyday, and end up spending 45 minutes trying to find the matching Elsa sock so your baby is happy. Your kids really won’t notice or care, and it’s smarter to do it sooner rather than later before they do get attached to fancy or colorful socks instead. This has truly saved me such a hassle every morning when I’m getting my kids dressed, and makes life so much easier for myself, my husband, and my kids. And with the extra time I save from doing this, I can spend more time with my family doing fun and memorable activities, which is what truly being a mom is all about.For more great advice when it comes to parenting, check out electricmommy for all things mom life, yummy recipes, travel and how to grow up strong confident girls. My mother taught me this trick because apparently I was a difficult baby (I don’t know what she’s talking about, pfft) and never wanted to go to bed at night. Because of this, she started playing soft music in the background for me when it was bed time. She would play very gentle ambience music, like the sounds of waves, rain, or even just plain white noise. But you know what the easiest thing to do is? When I first became a mom, I thought parenting wouldn’t really be as hard as everyone always said, and I had a blurred image in my mind that I would actually sleep more than 5 hours over the course of a year. However, you soon discover once you open up about your own experiences and anxieties of being a new parent, that pretty much every single new parent on this planet feels or felt exactly like you did. Once you become a parent, you find that parenting is tough. And that’s when you know that you truly understand what it means to be a parent. 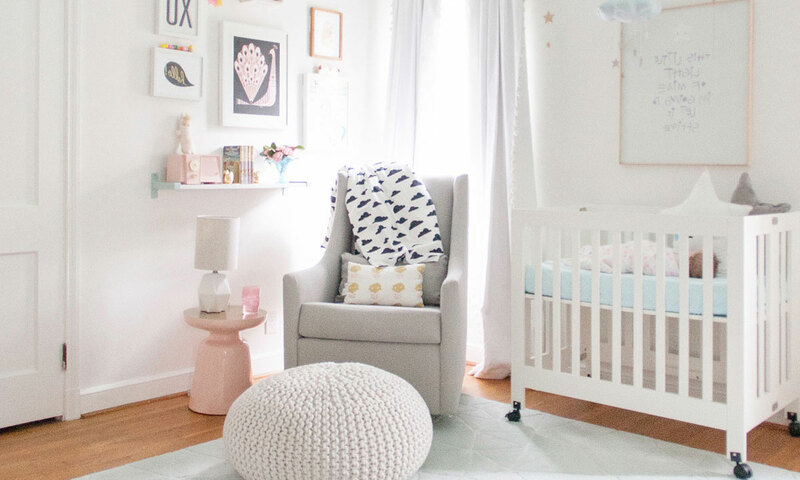 Because of this, I started playing music for my newborn in her bassinet and even my toddler in his crib and it works perfectly for both of them. Not only because it helps them to sleep at night, but it also teaches them not to be such light-sleepers, which, in the long run, will save you and your kids a lot of sleep in the future. This is excellent to use in the first 5 or 6 years of their life, and I would highly recommend new moms to start using it from the very beginning. Because, basically, just like McDonalds, I’m lovin’ it! TWINS HACKS: Although I don’t have twins myself, nor do any of our parents on ThinkBaby, I know many of you do have twins 🙂 As we can’t answer all of your questions nor do we really know what’s it’s like to be a twin parent, for all of you out that have twins and need some parenting hacks and honest advice, check out this beautiful twin mommy blog by Kelly Rao and in-particular her awesome blog post here. Okay, it’s no secret that kids, no matter what age, are messy. Sometimes I feel like I’m living in a house with Godzilla and King Kong battling to see who can make the biggest mess. And then adding the husband’s mess on top of it… yikes! Because of this, DIY stain removal recipes have been a lifesaver to me! I don’t have the time in my week to stop at the store all the time when my kids create a stain (and trust me, that’s everyday), so I’ve started created my own DIY stain removal recipe. Plus, doing a DIY recipe is much safer around babies and young children as opposed to the harmful chemicals in cleaning products). For more information on dangerous products you shouldn’t use on your baby, Click Here. I do this ahead of time, bottle it up, and save it so that I have plenty left to go around. And on top of that, I save tons of money each week by not having to buy an expensive stain remover. For more ways I save money when your expecting, Click Here. So, who’s the real winner here? All I do for this recipe is mix together a generous amount of dish soap, a small (SMALL!) splash of hydrogen peroxide, and a tablespoon of baking soda and you’re done! I usually let the mix sit on the stain for an hour or so before I wash it off. No vicious scrubbing necessary! I truly just leave it on the stain for an hour, rinse it off, and it’s good as new! My kids have never had a reaction to the products I use in it, and it leaves their cloths stain-free, and smelling beautifully, which you definitely need no matter how old your child is! You can also find plenty other stain removal recipes on Google if you aren’t a fan of these products, or simply create your own! For more mom hacks, tips and tricks, please check out my friend, Caz, and her beautiful blog, RoomForMySoul.com. In particular, her awesome blog post about how to live your best busy mom life. Love this! Of course, there is other parenting hacks which should be pretty much standard for all parents which we have blogged about before, but we will include these below aswell as links to our relevant blog posts for more information. For exactly what I mean, as a parent you should be making your life easier by making homemade baby food. What? I know what your thinking, isn’t making homemade baby food even harder than buying commercial food? Well, no not really (as you still have to go to the shops to buy it LOL). But if you buy a baby food maker like I did, baby food will be done ALL by the machine and pretty much, you just need to wash up the machine parts. That’s it. Sometimes, parenting hacks just come down to simple common sense and simple tricks that make your life easier. Even though some of my recent parenting hacks that I’ve blogged about above, are great for me right now, some parenting hacks are just so simple, you should be doing them everyday without fail. For what I mean, on Nike’s blog she talks about Ways to Make Your Life Easier as a parent. Check her blog post out for some simple things you should be doing everyday to make your life that little bit easier and less overwhelming. It also goes without saying that if you don’t have a bottle or breast milk bottle warmer, you really need one. That’s especially true if the husband is involved in parenting duties. Buying a baby bottle warmer literally saved having to tell my husband the instructions for heating up our baby bottle about a thousand times. 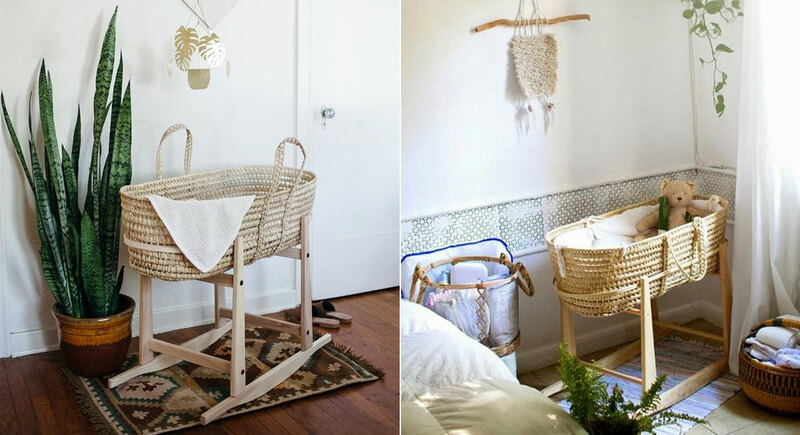 A definite wise investment if you want to make your life easier, especially with a newborn. Another great investment worth buying that literally saved me sleepless nights with my little ones was a co-sleeper. 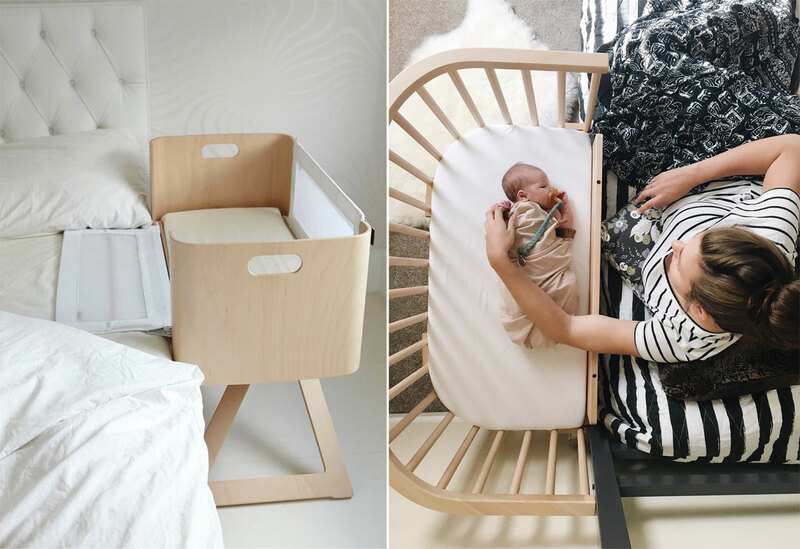 If you don’t have the funds to invest in a baby crib to begin with, skip it completely and invest in a co-sleeper, especially when you have a fussy sleeper. For the best and safest co-sleepers we recommend, you can read our blog post here. Check out, thetantrumtimes.com, which is a real and relatable family blog that covers everything parenting and tantrums, whilst trying to keep as sane as possible. Overall, there are countless different parenting or ‘mom’ hacks that you can use everyday to make your life easier, but these ones are my absolute favorite! The longer you’re a parent, the more you’ll learn about what does and do not work for you, and how you can change up a plan to make your life just a little simpler. I strongly urge you to incorporate these, and more hacks that you can find on the internet or from other parents that will help you to not only save time, but take a huge amount of stress out of your everyday life! Don’t forget to check out theanxiousmumma as she blogs about the endless anxieties of being a parent and zero idea on parenting – totally me with my first (and even feeling that way with the rest my children aswell! ).